Marcel Kittel and Fernando Gaviria both finished the season on 14 wins and arguably Kittel had the better season with five stage wins in the Tour de France, perhaps he should given his age and status. Both he and his team mate won over a fifth of the races they started but the most efficient rider of the year was Alejandro Valverde who won 30% of the races he competed in. First is the rider victory rankings for 2017 with Marcel Kittel and Fernando Gaviria topping the charts and going down to those on eight wins for the season. But what about efficiency, the rate at which a rider wins? Let’s look at the win rates of various riders divided by the number of days they raced this year. It’s an approximate measure and worth remembering that some days a certain rider can’t win, like a sprinter on a mountain stage or riders who are on team duty, for example Dylan Teuns took eight wins from 76 days of racing but on many occasions he was riding for others. Still Alejandro Valverde tops this table and by some way with an efficiency score of over 30%, impressive for anyone but more so for a non-sprinter. In his amateur days he was nicknamed el Imbatible, “the invincible one” and today aged 37 he can still use this label. In cycling you lose a lot more often than you win and even a rate of 10% is impressive. Richie Porte is another non-sprinter won 15% of the races he did. A danger is his 2017 season is defined by his Tour de France exit and his crash down the Mont du Chat when he won the Tour Down Under, the Queen stage of Paris-Nice, the Tour de Romandie and finished second in the Dauphiné, a very fine run. For the stats had he continued in the Tour de France and, say, placed on the podium and won a stage then his percentage rate would have dropped even if his status would have grown. 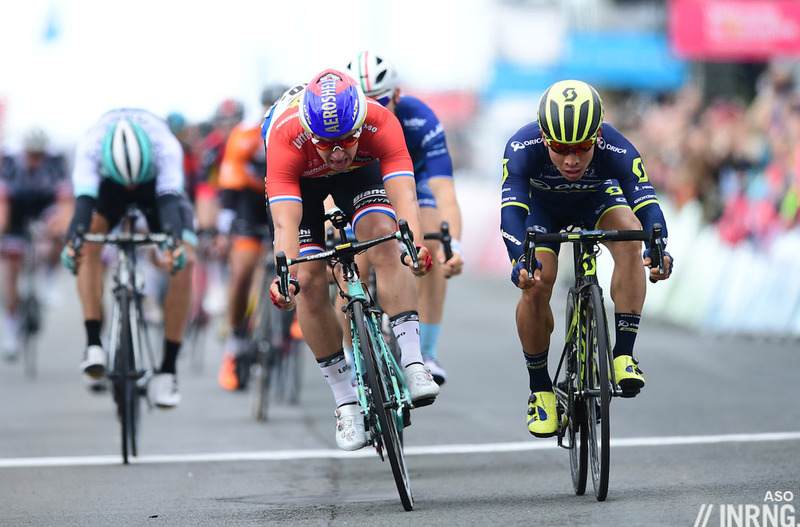 Caleb Ewan is an interesting prospect and 2018 will be an important year for him as he’s on the market, his current contract is up. The question is whether he stays at Greenedge because they’re increasingly focussed on the overall classification in grand tours and so providing a sprinter with a lead out train is a big use of team resources both in terms of selecting riders for a race and in the wider sense of goals and tactics. Leaving is one thing but where he goes is another but knowing his win rate is helpful because it suggests a team can commit to him knowing the results should follow. The chart below shows the efficiency of the most successful rider for year year going back a decade. Kittel’s 2017 season is within the average but short of his stellar 2011 season but he’ll surely savour 2017 more with five stage wins in the Tour de France compared to one in the Vuelta in 2011 and others from Langkawi to the Herald Sun Tour. If we’ve looked at some of the most successful riders of the year who were the flops? Dividing the number of race days by wins would mean Koen de Kort, 94 race days and no wins tops the table but his is a tale of teamwork and riding in the service of John Degenkolb, Jasper Stuyven and Alberto Contador and so this was mission accomplished for the Dutchman. Some riders are held to high expectations so Nairo Quintana’s year didn’t deliver a big win, too often he was looking stale in stage races but he still delivered six wins and made the podium in the Giro. It was a glass half empty or half full for Geraint Thomas, his GC bid in the Giro came undone when he sustained heavy crash injuries and wore the yellow jersey in the Tour de France but would also crash out but he also won the Tour of the Alps (ex Trentino) and a stage in Tirreno-Adriatico meaning a season with results that many would trade body organs for; yet also with questions about what could have been. Surely Valverde’s efficiency is artificial as his Tour crash meant he missed a lot of losing days in the Tour and then the Vuelta. He never going to win at 30% plus in either Grand Tour. Never mind inappropriate terrain it is the benefit of not taking part at all. Similar to Porte but he still had an incredible win rate until his crash in Düsseldorf. He had 36 days of racing. Porte didn’t win Paris-Nice though. That was Sergio Henao. Porte did win the queen stage to Col de la Couillole. Corrected. The loss in the crosswinds didn’t blow him mentally off course. Let’s fix these double standards… Porte’s good season (? ), defined by a “very fine run”, is in danger of being eclipsed by the TdF fall, whereas Quintana, “held to high expectations”, didn’t deliver a “big win”. All true, and yet the pieces don’t fit. I’d say that Porte entered this season with “high expectations” on him, too, something which I always struggled to fully understand, even although I like quite much the character he presents to the public – and I consider him a very good short stage rider. But, come on, let’s read back those articles where he looked like the man who could outright win the TdF. If that’s not being “held to high expectations”, too… I’d agree that it’s a bit less than the Giro-Tour double, but was Quintana *expected* to really achieve that? 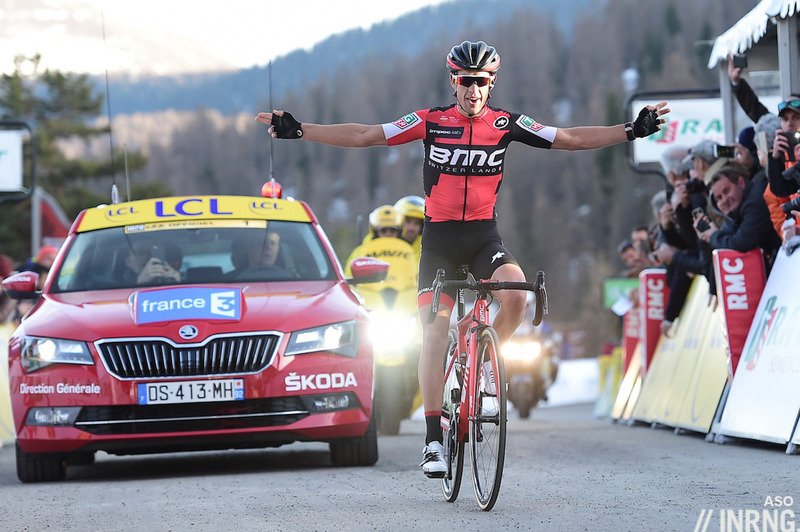 Now, come the end of the season, we’re fine with Porte winning only the Romandie and the TDU? 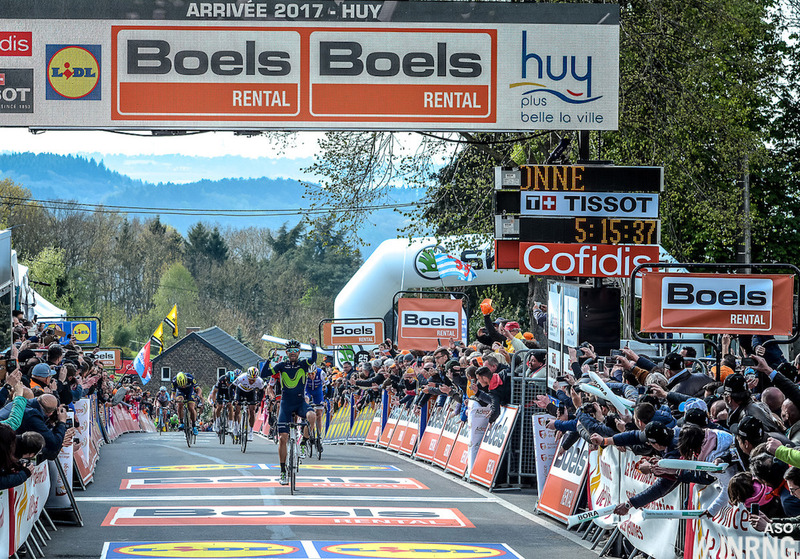 You don’t need to look thoroughly the stats to know that it’s a couple of modest short stage races, probably the least significant among the 10 best ones or so. Oh yeah, he won one stage at the Dauphiné and one at the Paris-Nice, too (losing both GCs, which he was going for). However hard ASO might be pushing its races irrespective of their actual quality, Quintana won the Tirreno-Adriatico, which is in any possible respect better than Romandie; and the Volta a Valencia, which isn’t WT, yet it’s frankly more relevant than the TDU – equal to be generous. Then you have a Tirreno stage to match and best the PA-Ni one, and a Giro mountain stage to match and best the Dauphiné ITT win. And that’s without including Giro 2nd place or a Monument 9th place at Lombardia. Note that Thomas’ season with a Tour and Tirreno stage wins, plus the Trentino (stage and GC) is very similar but is deemed something “many would train body organs for”, “a glass half empty and half full”. One might agree, and I’ll similarly put high value on Trentino (ToAlps), but it’s not that different from Quintana’s season. And he also failed a couple of objectives in other races (GC or stages, depending on the situation) both before and after the Giro/Tour injuries – let alone those training stage races where he couldn’t even come in the GC top 20. Way less expectations on Thomas, but he sacrificed his Classics potential and delivered very little (6.7% his efficiency 😉 ); and serious GC potential was expected for him, too, according to what many wrote. Yes, Porte impressed on some climb, but so did Quintana in Mas de la Costa – and also Porte failed to accomplish a couple of his main objectives, at least as long as he stayed on his bike. Same goes for Thomas, the impressive good results make easy to forget the disappointing ones, even crashes aside. Both Quintana and Porte had an unaccomplished season after a promising Spring (even more successful in Quintana’s case), but the way they’re looked at is very different. let’s use some hypotheticals because without Porte actually following through, we’re guessing again. Porte’s over all *trajectory* appeared more promising than Quintana and certainly showed more promise despite its premature demise. at this stage most commentators are pleasantly surprised when he excels and if he doesn’t, well that remains the par for his course. Quintana, on the other hand, has actually won the bid races so for him to fall this short really is a disappointment. in fact, he’s starting to make his way down the same road where Porte had already made his home. to answer your critique that the caliber of race won is not in parity, we can again turn to the “pleasant surprise” (P) vs “you should be able to win that” (Q). when Porte starts stringing together the week long events–or places very well–and seems to be making it a habit, we all say “hey good job buddy, hope you can keep it up”. most viewers more or less expect Quintana to win those types of races when Froome isn’t there. so all things considered Porte really did have a good season and maybe it could have had some tour success. Quintana has already shown he’s more capable and his high expectations did fall short. In fact, except TdF (but that clearly dosn’t belong to “those types of race”), Froome didn’t ever win any stage race in which Quintana was racing, while the opposite happened some three times last year. I agree that Quintana is an exceptional short stage racer, surely better than Froome, but his Giro-Tour plan kept him away from most races of that kind in 2017. It’s not like he targeted any of them as an objective then falling short. The contrary can be said for Porte, who is a notable *short* stage racer, too: he *already* had 2 x Pa-Ni, Catalunya and Trentino, plus runner-up spots in País Vasco and Dauphiné. 2017 Romandie and TDU frankly don’t add much, especially since, int the while, you fail Pa-Ni and Dauphiné – which you had targeted. Porte can’t be considered a “pleasant surprise” for his actual achievements this season, unless you never followed his career before the media started to sell him out as a prominent TdF contender. Maybe his 5th place at last TdF was a “pleasant surprise”, indeed: his best result in 10 years of various GTs; but not this season – he had already won something like that. But, hey, the crosswinds disaster “didn’t blow him mentally off course”. That’s positive attitude. Instead of saying… dunno… “Pa-Ni? You should be able to win that! (and you didn’t)”. Why was Porte “more promising”? And what “more promise” did he “show” exactly? How aren’t TDU and Romandie “bid races”? OTOH, Porte “really did have a good season” while Quintana “is making his way down the same road where Porte had already made his home” – hummm, that’s really really *in the making*, I guess, and the way down should be quite long if you look at it from above. In his disappointing season Quintana got a Monument top-ten, nothing special, but at *Richie’s home* you barely *finish* any Monument ever (he started a handful of times Liège and Lombardia and the only time he could even cross the line he did it in 91st place). He also got a GT podium, something which, again, has no place at *Richie’s home*, not in a dozen participations. He won a GT stage, another feat which isn’t ever to be found at Richie’s. And Quintana also won a first-class short stage race, something which Richie might someday do, indeed, but until now he only came close when he won Catalunya in 2015 or was runner-up at País Vasco in 2013. And that’s *one* season by Quintana (an unaccomplished one, surely) against the *whole* Richie’s career. It’s a long way to Launceston, it’s a long way to Richie’s home. Both unaccomplished but Quintana has won grand tours so surely more is expected of him? Above all the difference is Porte’s crash, an accident compared to Quintana’s form. Porte’s crash wasn’t mere bad luck, not in the same way, say, D. Martin’s was. Not even by far. Everybody knew that such a possibility existed well before the stage – and it duly happened. Which doesn’t mean it will *always* happen, but it’s an “accident” whose probability is quite high when compared to the rest of the bunch. OTOH, Quintana’s plan meant that unlike 99% of the peloton he’d go deep into uncharted territory in prep terms. The first consequence was that he had to race less of those hard, shorter stage races where he had regularly been collecting some 5 wins *every* year since he turned professional in 2012 included, with 2015 the only exception (he just won Ti-Ad + stage like this year). He kept racing and winning, but the races’ level was often lower and sometimes he entered them in order to train at a lower pace – while in 2016 he never had any lower placement in GC than a podium, in 2015 they were all top-tens, all top-5 in 2014 (always including winter races and the likes)… You must go back to his neopro years in order to see him not making a GC top ten. You can also notice how he was back to top-ten level in hard Autumn races, something which didn’t happen since 2012. Sure, he made a bet – and he lost. Which must be duly noted. But you simply can’t compare such a season with a normal one. Especially as the Giro – which he lost by mere 31″ – proved to be so demanding while at the same time poorly suited to Quintana’s characteristics. Sure, it’s just right to expect more from Quintana – and, indeed, he achieved more. Not much, but clearly so (see my answer to sam above). And, sure, we generally expect less from Porte, but maybe not as little as he actually achieved, especially after we had spent months saying that he’s the great ice-cream-loving hope for the TdF; above all, not after he already showed in the past he could get this sort of results. Another year is gone and the step up (a GT podium) is still missing. Both Porte and Quintana had seasons to forget, but for different reasons. A lot was expected of Porte based on development. A lot was expected of Quintana based upon his accomplishments. It was obvious that Porte was building towards the TdF, but Quintana seem to bounce from one GT to the next without the focus of previous seasons. So when Porte crashed out it was a premature demise, while Quintana just looked embarrassed to be on his bike post-TdF. Porte has probably one more season to put his haplessness behind him and nail a GT, but in all honesty I can’t see him beating an in-form Froome or Quintana. Porte looked great in the Dauphiné, it took the combined force of Movistar + Sky to dislodge him. Anyway, surely ‘efficiency’ is a measure of ability to consistently achieve the set targets, not simply cross the line first. I’d therefore say 2 Grand Tour wins is reasonably efficient too. If anything its just confirmation of how little Valverde rides for anyone else! In fairness though its an incredible hit rate and shows just how effective he is in those early season week long stage races and hilly one day races. As others have said this would have been watered down by 42 days racing across the Tour and Vuelta with maybe the odd win. Not really, not this year at least. In the races he rode he was designated leader and delivered, what he is paid and asked to do. Many don’t, but I like his style, he knows his strengths and weaknesses and adapts his gameplan. A cyclist’s cyclist surely? Big shame he crashed in the Tour. Peter Sagan’s consistency is worth mentioning over the past six years, with three years on the top. Had he not been disqualified from the Tour he might well have been the most efficient in 2017. It’s notable that Mareczko is up there for total wins and efficiency. I don’t think any other rider from such a small team is delivering those results so consistently? He almost won a couple of stages at the Giro too. Any rumours on him joining a WT team? Mareczko just signed a new 1 year deal with wilier triestina, so we have to wait another year to see if he moves up. He probably tried to find a new deal with a world tour team and probably got quite far but it must’ve fallen through. So for now the world tour don’t want him and we have to wait. Add Mareczko’s 22 Pro wins in China from 28 total to those notable lies, damn lies and statistics. I can’t work out if that shows Mareczko or Chinese “Pro” racing in the worse light. Chaves seems a good example of a season gone sideways. Big expectations, but a reminder that these guys are human. Out of the real big names, I’d say Degenkolb had a real stinker. But then competition in his A-races on the World Tour means he would have less chances of winning. On the contrast, are sprinters like Marezcko or 2016 version of Coquard who are riding World Tour events, but primarily are racing a level below, and cleaning up because the competition is less. Quite true in abstract terms, but Degenkolb bad year wasn’t about the competition only. He didn’t shine in lesser races, either, and was often beat by supposedly inferior riders. Including in some WT ones which, albeit WT, aren’t top class at all. It’s not just about not winning or not podiuming: bar Dubai Tour, his season was too often about struggling to make a top 5, which is well below his potential. I really hope he can recover: it’s quite normal to have a weak season if in the previous one you couldn’t train or race as much as you’re used to. At the end of the day, he was eventually able to race a good number of days and kms last year, although well below his standard, and I kept my fingers crossed hoping that it could be enough: apparently, it wasn’t. We’ll learn more about him next year. However, it must also be said the generally Trek-Segafredo had an under par year as a whole. Perhaps it was about team preparation, too. I’m not too impressed by Marezcko streak of Asian victories, either, yet both he and Coquard 2016 had a couple of notable WT results: the former was twice runner-up to Gaviria in Giro stages, the latter was 3rd at the TdF behind Cavendish and, perhaps even more important, was 4th in hard top races like Amstel and Brabantse Pijl. It’s not like 2017 Degenkolb did hugely better, the big difference is that he’s got a known potential and, indeed, a generally higher-level calendar. However, Marezcko is all about where he can get (if he can): he’s 2 years younger than Coquard and still U23. Coquard went a little step back in 2017 as he tried to focus on – sligthly – better races, we’ll see where the next couple of years will place Kuba. Valverde yes. But I would have though Gaviria is the outright winner over Kittel for this year. He raced more kms and had more top 10 placings than Kittel. He also finished a GT with the points jersey. (Though I think it impressive that Kittel hauled himself up as many climbs as he did during the Tour, even if his Green jersey ambition was faintly absurd, remembering who wasn’t there.) Gaviria’s UCI rating is 30 places higher than Kittel. And he raced more days than Kittel even though he missed 3 months racing mid-year. Because of that hiatus, one way of looking at it is that his hit rate of wins and placings during the time that he was active must have been higher. Following his injury Gaviria just about came back for the Worlds but without the same edge, I think. Still fast but not blindingly fast. Any sprint wins he gathered thereafter were more close-run than character-forming for his opponents: more the sabre than the rapier. I hope he winters well and aims for the Classics in the Spring. All riders in the lists aboive seem to be racers going for stages or one day races. The most EFFICIENT rider this year is none other than Chris Froome. The guy survived living in GC weight for 42 days and taking 2 Grand Tours. That is the most efficient rider and body. No doubt that inrng (and everybody else) is aware that the words (s)he happens to use are self-defined within the article itself. Efficiency = victories for racing days. Just like the victory “rankings” are about the sheer number of wins, which has a very relative importance in cycling. But it’s just a specific angle which inrng has decided to offer, while explaining clearly the criteria. I think that inrng explained long ago why the focus on wins – and it makes sense, it’s an added perspective. We all know that Kittel and Gaviria wouldn’t even enter a top 5 of this year’s best riders, probably. Maybe, just maybe, they’d make the top 10 – but barely so. They both had a decent but far from exceptional season, and during their respective most impressive feat, they enjoyed very favourable conditions besides a certain lack of qualified or top form competition. Cycling is a curious sport. I, too, think that Froome was the absolute best rider in 2017, and not just the best stage racer or GT racer or Tour racer, but for me the most historical and significant feat wasn’t his double (which was extremely notable and well worth the global “best rider” title, despite the lack of anything else, including “action” in those same races) – that was Sagan’s Worlds. And the most impressive wins were Gilbert’s. OTOH, you could never say that Sagan or Gilbert were the absolute best this year. And yet, you see, at the end of the day, in cycling how you make it is as important as what you make (and even more important than “how many” victories, given that the races are so different among them). I think Kupepe is perhaps venturing more into UCI type ranking territory than inrng’s bit of fun. But his point about the management of Froome’s form does trigger a thought: It is not just the rider who keeps things together. Praise must go to Sky’s physical preparation team. They again seem to have done a brilliant job throughout the season in training peaks and tapering, consistently bringing not just Froome but all the team’s stars to the start lines in the right physical and mental state both for the immediate job in hand and for the weeks down the road. I am sure they all knew Froome’s mind after the Formigal Stage 15 of the Vuelta 2016 and there was no doubt that from then on there would be a double GT attempt 2017. The whole Sky management seemed just as stirred by that embarrassment – 3 of those who sat up on that Stage in 2016 didn’t last beyond their contract expiration and were moved on to Katusha and Bora Hansgrohe. But during the course of racing during 2017, the support staff were adept; for example, with the bane of cycling, -they all coped with Froome’s severe saddle sores in the Tour, learnt how blister pads can help, and controlled the problem in Spain. A fine job during 2017. Collective team physical preparation was beyond impressive, overcoming unpredictable accidents on the fly (e.g. Landa forced change of programmes) and having riders perform according to effort patterns which weren’t their own and which were pretty much novel for them (see Kwiatkowski or Moscon). That’s not just about science (working on data), it’s nearly in the field of art. Many were saying that it’s just normal: Kwiatkowski was RR World Champion, Geraint Thomas was a multiple World (and Olympic) Champion on the track, Kiryienka was ITT World Champion, Moscon is a huge talent… but that “just” proves that these guys have got a big engine, which doesn’t *necessarily* mean that they will be able to work as a great gregario, too, even less so in the mountain stages of a GT (we already knew about Kiry, but essentially thanks to his previous career in GTs, not because the ITT title!) . It’s a totally different kind of job and the switch normally requires *years* (in the few cases in which it’s successful: a well-known one is Michael Rogers). Sometimes even a great captain can’t easily become a good gregario. However, it must also be said that depth in field was really relevant and the team exploited it fittingly: besides Thomas’ unlucky troubles, some Sky riders didn’t always perform as expected (which is good news in terms of credibility), but thanks to the overall level and the opportune stepping up of some other riders, that was more than made for.